Patricia McCauley - InsideOut Solutions, Inc.
Patricia McCauley has been involved in hospitality marketing for over 25 years. She owned, Casoni’s Restaurant, a nationally recognized, award-winning restaurant for 11 years and during that time she worked tirelessly for regional and state tourism destination marketing organizations. 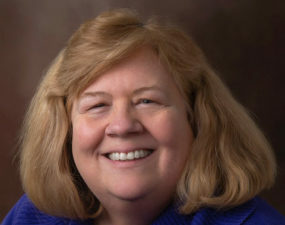 She was twice president of both the Olympic Peninsula Tourism Council in Washington State and the North Olympic Peninsula Visitors and Convention Bureau. After selling the restaurant, she turned her small business marketing experience and passion for tourism into the company now called InsideOut Solutions. InsideOut Solutions is a destination marketing company with clients throughout the US, Canada and Mexico. Her goal is to create marketing solutions that work for all types of destinations from small towns to lodging properties, to your destination. Patricia McCauley was founding director of the Sequim Lavender festival which grew from 200- 40,000 attendees in six years and from one day to a three day event that celebrates all things lavender. This internationally recognized event is the largest lavender festival in the USA and possibly the world. Patricia has presented at numerous conferences across North America and is available to speak on current marketing and web trends in the tourism industry.